I am not a beauty blogger. (Duh.) The various beauty boxes like Glossybox, She Said Beauty, Joliebox…none of those really make me want to grab my debit card and shout at the monitor “TAKE MY DAMN MONEY ALREADY AND SEND ME THINGS”. I just don’t get excited over beauty products. 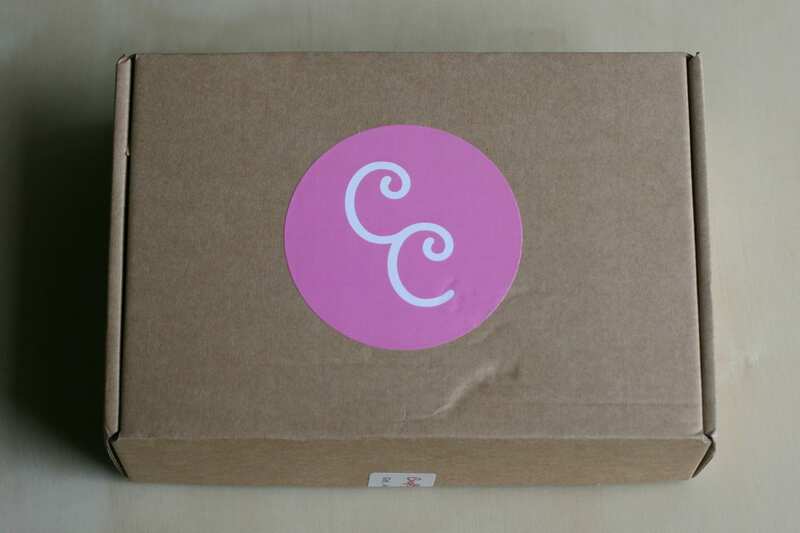 However, when I read about Crafty Creatives, I couldn’t fill in my email address for their sign up list fast enough! 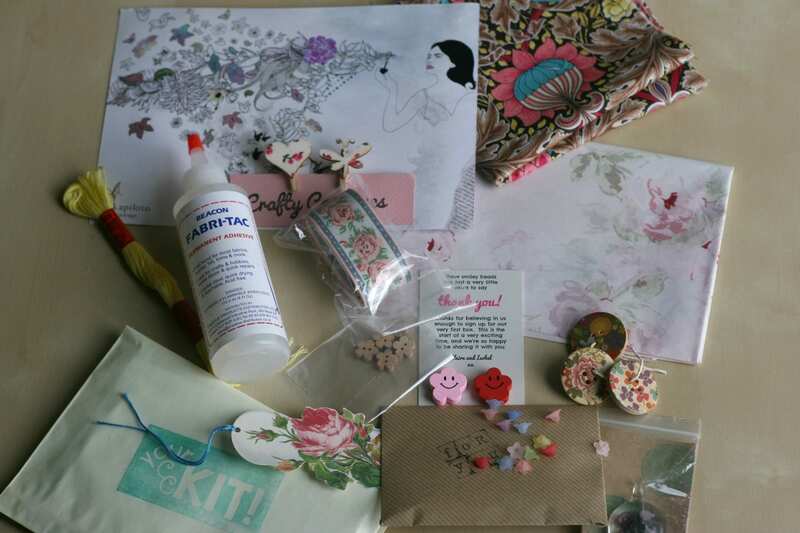 Crafty Creatives is a monthly subscription service where you’ll get sent a box of crafty goodies around a theme – the first month was florals, which extended even to the paper wrapping inside! The first thing you find when you open the inside wrapping is a pretty art card, with details of what you can find inside the box on the back. I like that they give some suggestions about what sort of things you could do with the things in the box – there are some things that I probably wouldn’t use normally, but having the suggestions helps. So, whats inside the box? 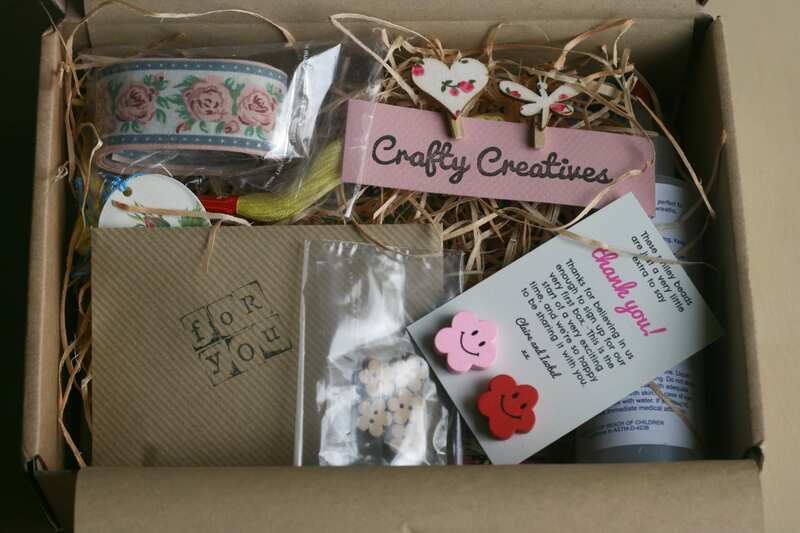 Fabric, buttons, beads, glue, threads, tissue, glue… so much stuff that you probably wouldn’t normally choose, but having a themed box like this is a great way to inspire you to make something different. I’ve been so lax on the crafting front since I moved in with Alex…2 years ago…and I want to do more with my stash that I already have. 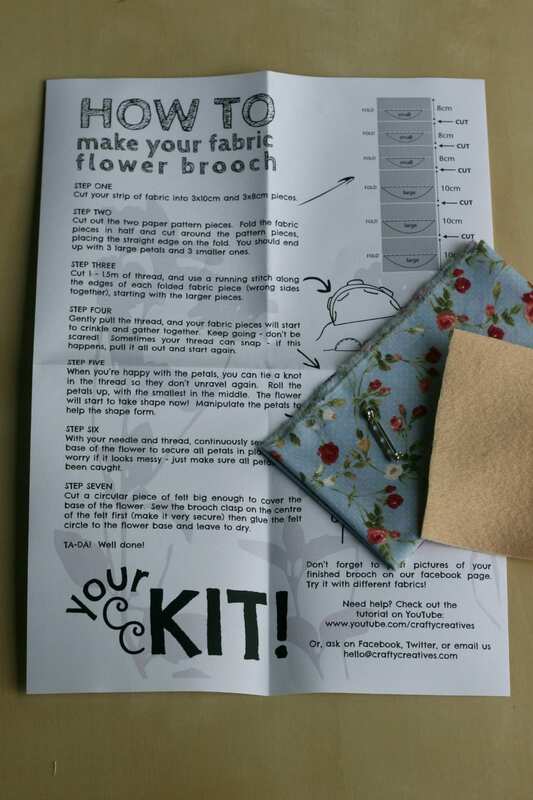 The main item in the box is a kit so you can make a floral brooch for yourself. 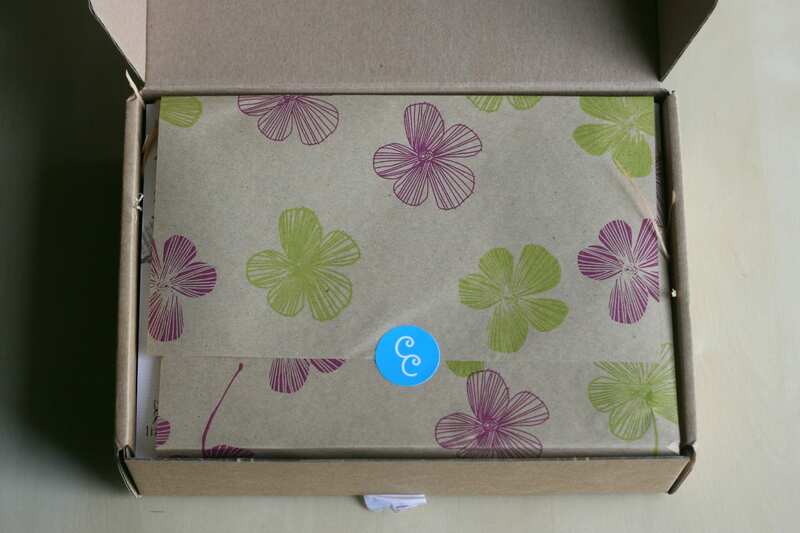 I think this box is really good for a beginner crafter, because it will help to build up a craft stash and will show new ways to make things. It would be perfect as a gift for someone who crafts a bit as well – I can think of a few friends who would enjoy this! 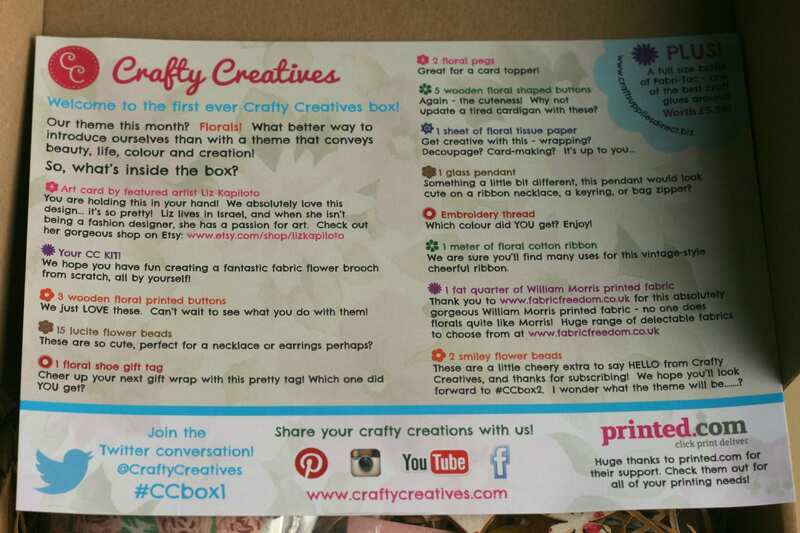 The Crafty Creatives box costs £12.95 per month – the same price as many of the beauty subscription boxes.